As a Solutions Engineer, you will be our Mapwize integration expert internally, but also on our clients’ teams. This position is a great career move for engineers ready to switch to a role that allows them to leverage their existing technical skills, hone their client-facing skills, make decisions that affect the trajectory of the company, and create business connections in the community. If you’d love to use your technical skills to delight customers by crafting the right solution, we want to hear from you! Being a Solutions Engineer requires flexibility above all. On any given day, we speak with customers and future customers, build out proofs of concept that show just what Mapwize can do, and even add new features to the product itself. The tasks are varied and no two days are alike. Our priorities are determined by a single question: will this help our customers be more successful? We’re proud of, and enjoy, what we do. The job will be located at Euratechnologies in Lille. Create resources (blog posts, tutorials and other) to make Mapwize more accessible to the world. 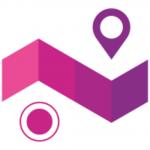 Mapwize’s mission is to disrupt the Smart Building industry by providing a breakthrough indoor mapping platform. We believe indoor mapping is the corner stone to provide new digital services inside buildings, whether it be for visitors, workers, maintainers or security officers. We work hard to build the next generation mapping platform to lead the digital revolution in the building industry. Mapwize has customers located worldwide including Fortune 100 US companies and has been used successfully in international events with tens of thousands of simultaneous users. Mapwize is backed by two VC funds and has partnerships with Microsoft and Cisco. We are looking for talents to join the team and be part of the Smart Building revolution.